This workshop is sold-out. Please enter your email below to be notified when additional workshops become available. The workshop is intended for those who provide on-farm training to foster the next generation of agrarians. Whether you are in early stages of beginning farmer mentorship or have an established apprenticeship program, this workshop will offer techniques and guidelines for strengthening and improving successful apprenticeship programs. Learn proven models to balance educational learning in the field and meet your production goals. The workshop will cover effective communication strategies, maintaining equanimity across diverse learning styles, balancing production and education, and designing an experience that fortifies a trainee’s readiness for future placement and continued success in the field of agriculture. This workshop is sponsored by Stone Barns Center Growing Farmers Initiative with funding from New Entry Sustainable Farming Project’s USDA Beginning Farmer and Rancher Development Educational Enhancement Team Grant 2016-10702. Jennifer Hashley is Director of the New Entry Sustainable Farming Project, a beginning farmer training program that assists diverse individuals to begin farming in Massachusetts.Jennifer is also a vegetable and pasture-based livestock farmer and serves on the Boards of The Carrot Project and the Urban Farming Institute of Boston. 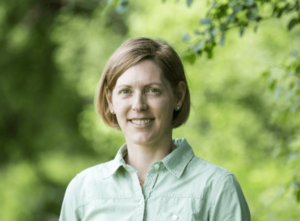 She is a farm business planning instructor for Massachusetts Department of Agricultural Resources and is advisor to several regional food systems initiatives. She served as an agricultural Peace Corps Volunteer in Honduras and holds a Master’s in Agricultural Policy from Tufts University and a BS in Environmental Science from Indiana University. She aims to support resilient local farms in New England and beyond. 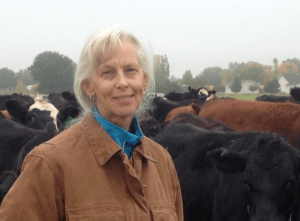 Julie Sullivan, with her husband, George Whitten own and manage their 3rd-generation, certified organic, cow/calf-to-finish cattle ranch in the San Luis Valley of Colorado. The ranch is committed to restorative practices that result in soil health, functioning grassland ecosystems, and viable small scale ranching. For a decade, Julie was faculty for the field-based Audubon Expedition Institute at Lesley University Environmental Studies and Environmental Education program. She is the founding mentor of the Quivira Coalition New Agrarian Program and has taught workshops for Colorado State University, Colorado College, Adams State University, Fort Lewis College, Quivira Coalition, and the Western Colorado Food and Farm Forum, among others. She is fiercely dedicated to the next generation of agrarians, fully functioning ecosystems and creative solutions to the interaction of humans with their planet. 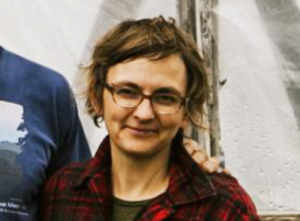 Polly Shyka is the co-owner of Villageside Farm in Freedom, Maine, an organic vegetable and seedling operation. She and her husband have been mentors to apprentices and beginning farmers for the last 11 years and both worked as apprentices in their early years farming. Polly is a collaborator on several different projects that help farmers hone their communication skills so that their businesses and relationships can thrive.